A tear free formula to naturally clean your baby's sensitive skin and hair. 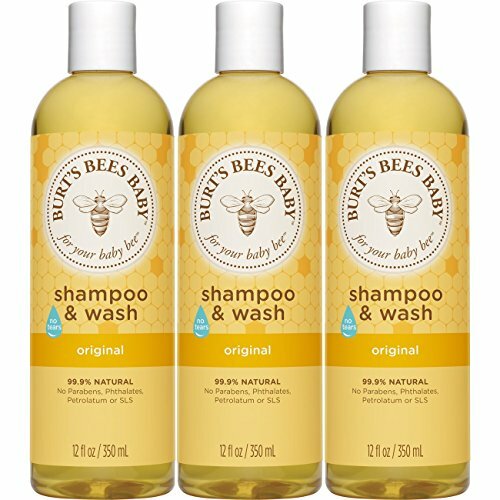 Burt's Bees Baby Shampoo & Wash is clinically shown to be gentle enough for everyday use. This naturally foaming, non irritating baby shampoo and wash is made with 99.9% natural, plant based formula containing soy proteins to leave your baby clean and smooth. Plus it is pediatrician tested and contains no phthalates, parabens, petrolatum or SLS. View More In Hair Care. If you have any questions about this product by Burt's Bees Baby, contact us by completing and submitting the form below. If you are looking for a specif part number, please include it with your message.